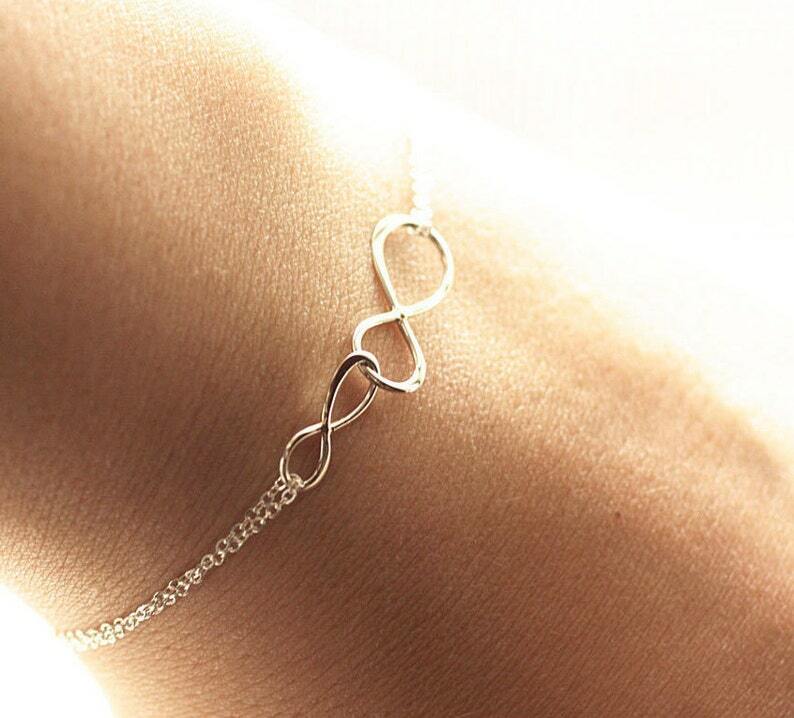 ♥The most simple & delicate everyday bracelet. Two very dainty sterling silver infinity pendant are linked together in unity (30mm total length), and float amongst two layers of the most dainty & shimmering sterling silver chain. Bracelet is completed with a round spring clasp. Beautiful! Love the simplistic design! So cute and dainty! I bought one for me, one for my mom for my wedding day gift to her, and I can't wait for her to see it! Beautiful bracelet! So incredibly pleased that you were able to make them in gold, especially without increasing the price! Thank you!